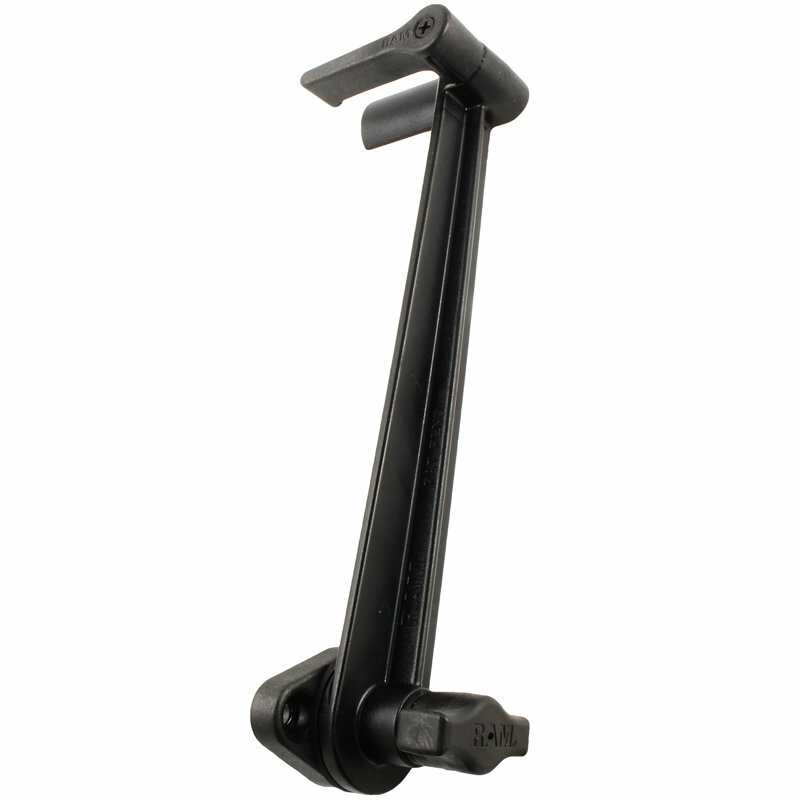 The RAM-234-S2U is a screen support arm with spring loaded keeper; this allows it to travel smoothly with the screen through numerous viewing angles. The screen support arm stores easily when not in use. Point Pivot to the end: 8"